Just a final reminder that tomorrow (Friday, Sept. 14) is the deadline for you to submit "Review Complete" for ALL of your Advisees. During this process, you are ONLY approving the final schedule, not approving each individual course. Note: If you see a thumbs-up icon or a checked box next to each individual course, please IGNORE. These individual marks have no effect and have nothing to do with the "Review Complete" process. Some students are confusing the "Review Complete" process with the "Permission to Register" process that occurs prior to registering for classes, or their submission of "Enrollment Confirmation" that is required to confirm their attendance each semester. Just as a reminder, "Review Complete" is a separate requirement from the other two. 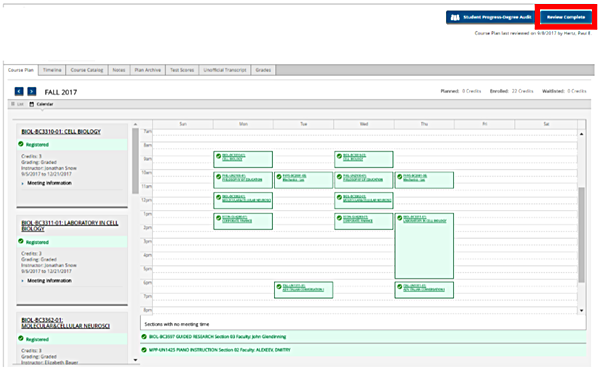 If Advisees make changes to their schedules after you have clicked "Review Complete," and you would like to note your approval of these updated schedules, the advisees should click "Request Review," which will enable you to once again click "Review Complete." This “Review Complete” process was put in place at the request of faculty who wanted to be able to meet with their Advisees to review their final course selections during the first two weeks of classes each semester. 3. 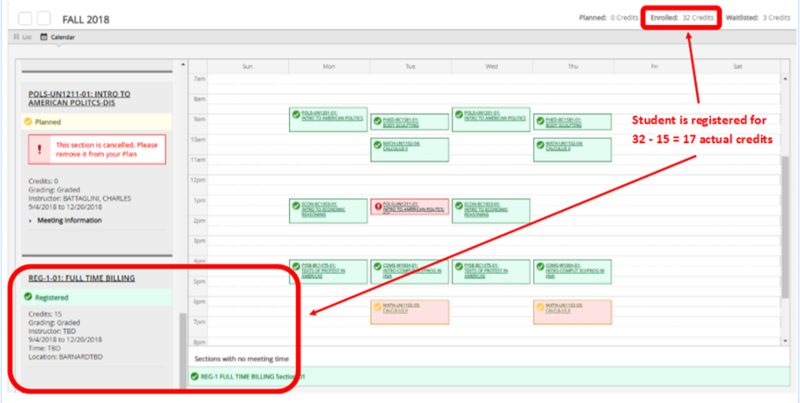 After you meet with your Advisees, and you and the Advisees agree that their semester schedule is final, you then need to do the final step in the advising process: click the “Review Complete” button as seen outlined in red below. 4. Once you have clicked “Review Complete,” that button will change to “Reviewed,” and you’ll see two Notification pop-ups: one confirming that the review was completed, and one asking if you want to archive the plan. 5. You’ll next see a new pop-up confirming this, and also the notation of who last reviewed the student’s record and when. You can clear the pop-up, but the notation will remain. The “Review Complete” button will now say “Reviewed” and cannot be clicked again unless the Advisee requests another review.